Instead, they realise they’ve been lured together by a person bent on revenge who wants to finally unravel the truth about what actually happened that deadly night, one year ago. I have to say that reading the blurb for this book got me so excited to start reading it because it sounded amazing. I love a good murder mystery book and with this also being a young adult book, for me its a double win. I remember reading One Of Us Is Lying last year and immediately loved it and wanted more books like it. 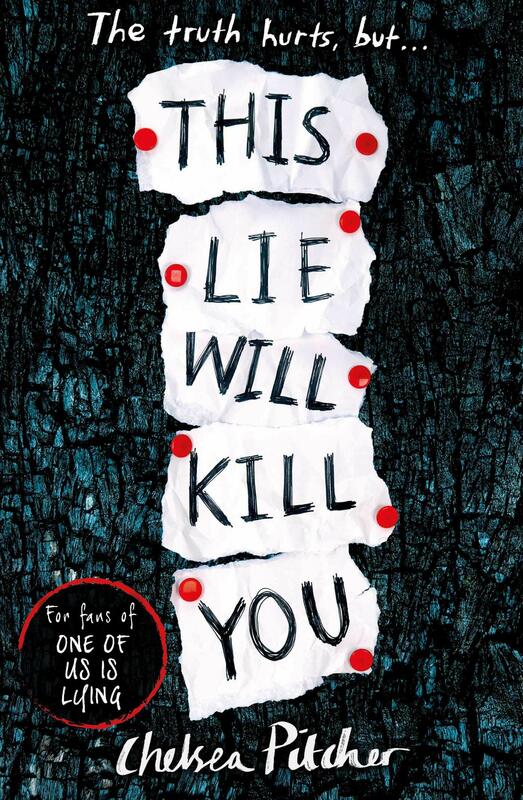 This Lie Will Kill You is being marketed to readers who loved One Of Us Is Lying, will love this book. However for me This Lie Will Kill You did fall a little flat. I thought the beginning on this book set the story up really well and introduced us to all the main characters and even if some of the characters weren’t very likeable I still found them interesting. But towards the middle part of the book I thought the story seemed to loose its edge and I really found it a little boring in places. Which was a massive disappointment because I really wanted to like this book. I did finish the book and while the ending would please some readers for me I was just not as invested in the story towards the end so it did fall a little flat. I did read this book in just a couple of sittings one evening and for me I think I would have loved this book a little more if we didn’t have so many flashbacks. I understand the reason for flashbacks because it gave us a chance to get to know the characters a little more and get a back story to the plot but I found it made my interest in the main story weaver and I became disinterested. Every time I thought I was getting back into the story I would find the next chapter was a flashback or featured a flashback, it was a little confusing and jarring. While I had a problem with the pacing and the structure of the story I have to say the writing was amazing. I found the book to be really well written and I would definitely check out the authors other books because I did enjoy reading her writing. I particular liked the parts of the book where she was building up the tension, I thought it worked really well. I would still recommend This Lie Will Kill You to other readers but I would just say not to go into it with high expectations. I think this is another reason why I didn’t enjoy the book as much as other people because my expectations were so high. I think if I went into this book blindly and not knowing anything about the book then I might have enjoyed it a little bit more.